temperature rise of 16 C (30 F), which exceeded expectations. CANMET (Canadian Centre for Mineral and Energy Technology) is Canada's premier research institution, employing 450 scientists and engineers who are dedicated to clean energy research and technology development. CANMET's new laboratory is located at Hamilton's McMaster University, representing the "crown jewel" in their new Innovation Park (MIP). Natural Resources Canada (NRCan) was a sponsor of the new facility and clearly prioritized their goals for the complex, including the mandate to showcase sustainable technology in the heart of Canada's steel sector. 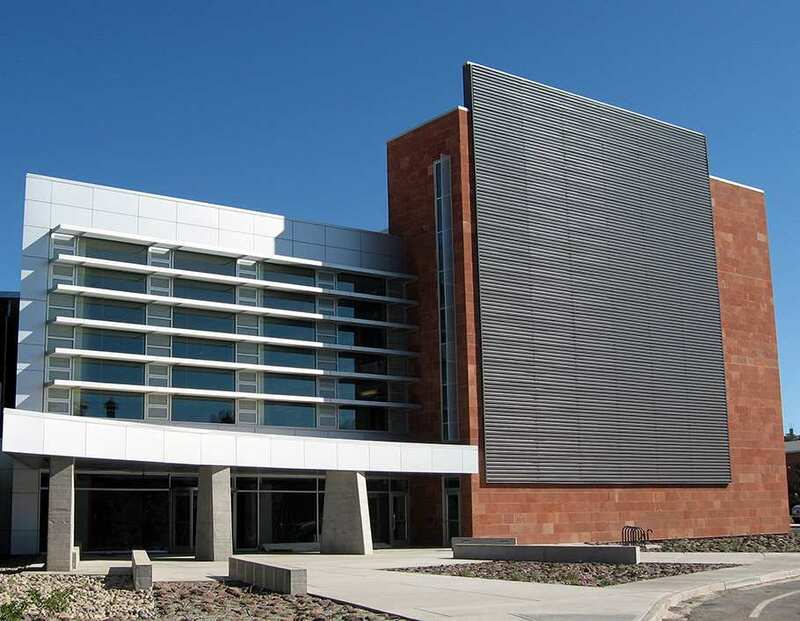 With the target of LEED® Platinum in mind, one of the most striking renewable energy technologies to be incorporated into the facility was the large roof-mounted SolarWall® solar air heating system. 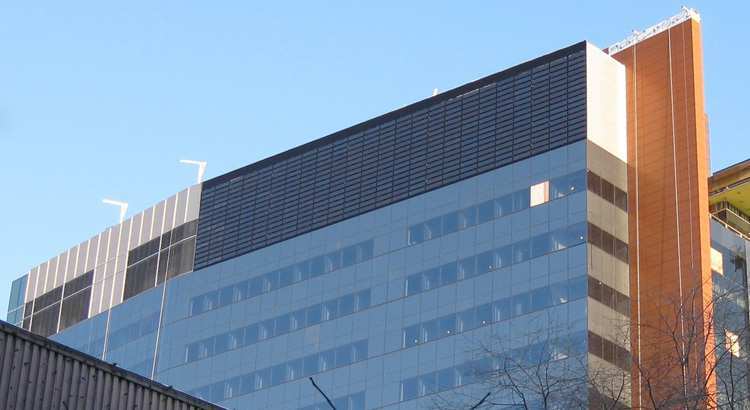 NRCan has been a long-time supporter of the SolarWall technology and two other CANMET buildings feature SolarWall systems. The globally-renown architecture firm of Diamond + Schmitt was hired to design the building. They have won numerous awards for their projects around the world, which include Four Seasons Centre for the Performing Arts in Toronto, the Ontario Science Centre, and the New Mariinsky Theatre in St. Petersburg. Diamond + Schmitt designed the SolarWall® system on a 53 degree tilt from the roof on the south façade of the building. The angle was chosen for maximum system performance (to match the sun's azimuth during the winter months) and also to contrast with the wall-façade below. The grey SolarWall® system spans 7,590 ft2 (705 m2 ) and will provide heated ventilation air for the 174,000 ft2 laboratory.